If you have not already done so, you have one day remaining to enter the Double Nexus Giveaway over on the DL Deals Store. 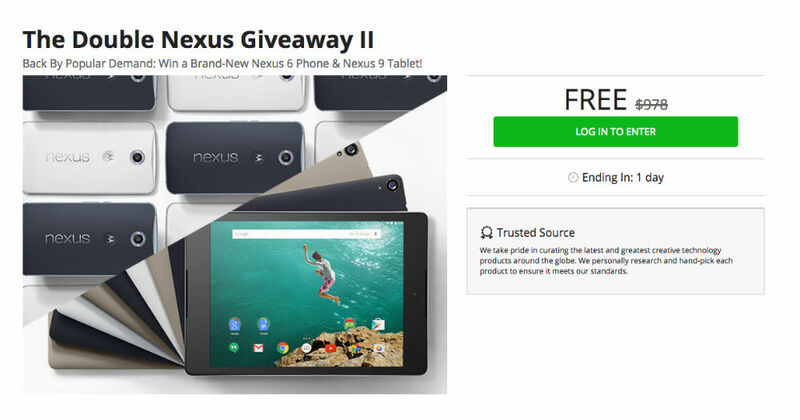 One winner will walk away with a brand new Nexus 6 smartphone and Nexus 9 tablet. The giveaway is completely free to enter, with all you needing to provide is an email address. To earn additional entries, you can share the giveaway on Twitter. The more people you get to enter, the more entries you receive in the drawing. Follow the link below, and best of luck.